The West Nile Virus is a disease transmitted by mosquitoes who carry it when they feed on infected birds. The virus can lead to West Nile fever, an illness first discovered in Uganda in the 1930s. Symptoms are shown in a two-week span including a fever, headaches, vomiting, and rashes appearing. More serious cases will also feature symptoms of neck pain and seizure-like symptoms; for those who have an affected nervous system, death comes in 10% of cases. In the US, the first cases of the West Nile virus first appeared in 1999 and still are around today. Recently, the CDC announced that the West Nile Virus has been detected in approximately 36 states recently, 39 individual cases officially as of July 24. 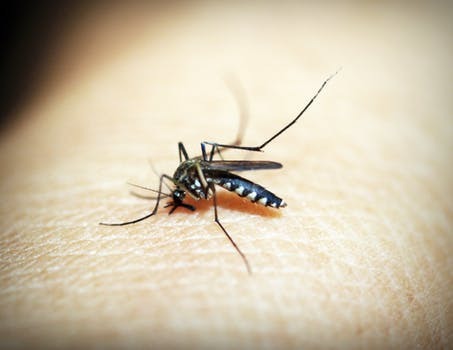 About one in 150 people will develop serious, life-threatening conditions including inflammation of the brain and meningitis, other major symptoms from contracting the airborne mosquito virus. Humans, mosquitoes, birds, and veterinary animals have tested positive for the virus; the CDC notes that it is very rare for humans to contract it from other humans. Mosquito-borne diseases overall are rising in numbers with the West Nile virus being the most common in the United States. Humans cases of WNV detection have been cited in California, Alabama, Illinois, Louisiana, Maryland, Mississippi, Nebraska, New Mexico, North Carolina, North Dakota, Ohio, Oklahoma, South Dakota, and Texas. 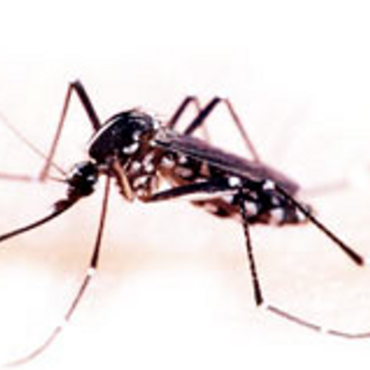 Non-human cases of WNV have been cited in Washington, Oregon, Idaho, Nevada, Utah, Arizona, Florida, Georgia, Minnesota, Wisconsin, Missouri, Iowa, Michigan, Indiana, Kentucky, West Virginia, Pennsylvania, New York, Delaware, New Jersey, Vermont, and Connecticut. Maine and Puerto Rico previously had animal cases of the WNV; only Alaska and Hawaii, the two states not within the continental US have detected a case of WNV since 1999. There is no vaccine for it and the only way to avoid the risk is getting away from mosquitos so they don’t bite. Use mosquito repellent with DEET when outside with exposed arms and legs and cover up by wearing shoes, socks, long pants and a long-sleeved shirt. Sunscreen should be applied before the repellant is sprayed on. Get rid of standing water from pots, hot tubs, pools, buckets, and wheelbarrows because mosquitoes lay their eggs in such places. Also, have mosquito nets and window screens along the house’s exterior to prevent them from flying inside the house. Those more notable at risk are healthcare professionals who handle blood work and outside laborers who are exposed to the elements. The West Nile Virus comes mainly in August and September, but the longer summer have brought on early cases across the country. In 2012, the worse epidemic of WNV came to the US in which 286 people died, notably Texas was hit the worst by the disease. For future cases, the CDC are telling people to be more aware as the risk of the numbers growing are high and to take all precautions to avoid another major outbreak so the virus does not enter more states.